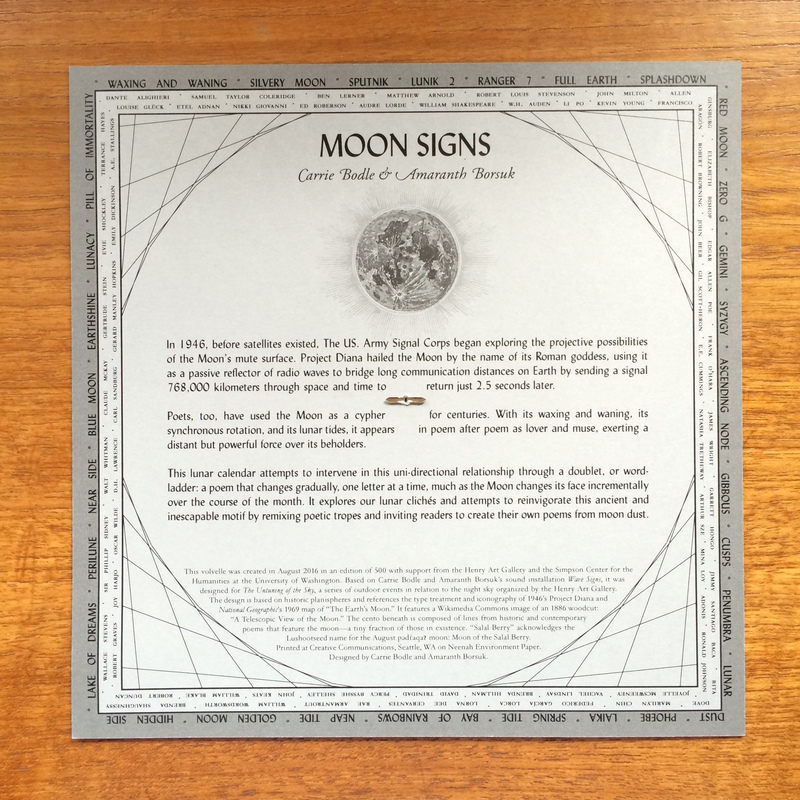 Moon Signs is a collaborative project based on Carrie Bodle’s and my collaborative sound installation Wave Signs. 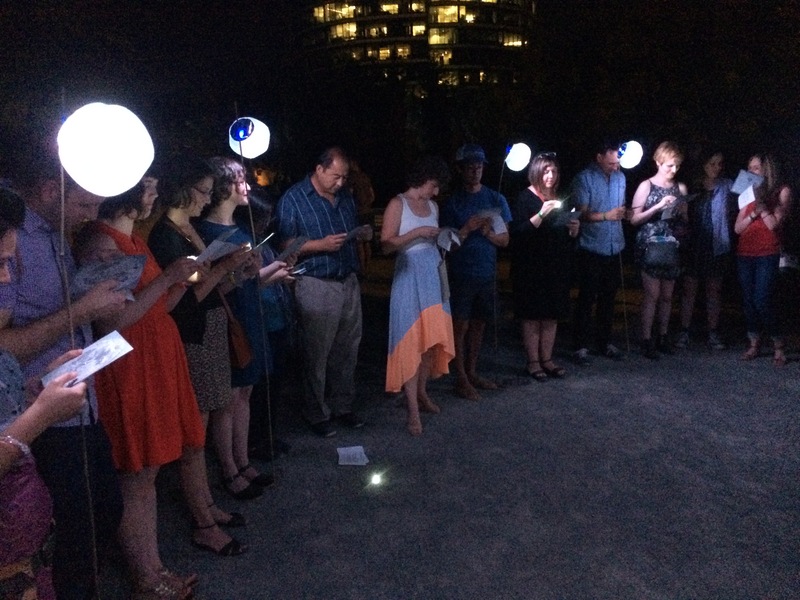 In two participatory sound poetry events during the month of August, 2016, we invited visitors to the Henry Art Gallery and Olympic Sculpture Park to use a lunar calendar as a poetic compass to navigate the night sky and build a word ladder to the orb that exerts such force over our lives and our language. Adapting the doublet we created for our sound installation at King Street Station, we designed a volvelle whose apertures reveal a word ladder composed of 31 words. 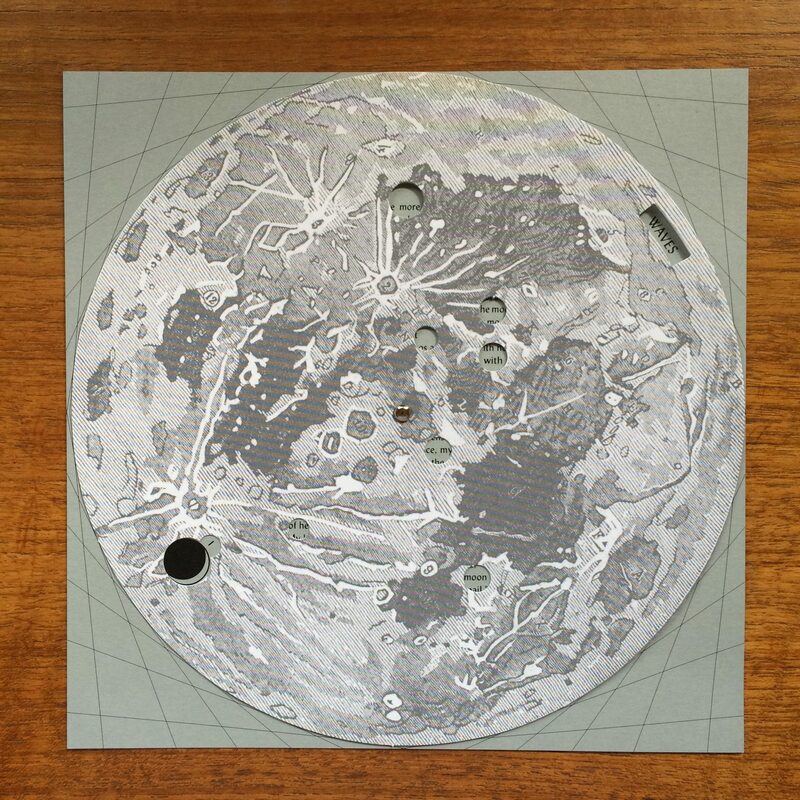 The gradually changing poem waxes and wanes along with the lunar phases, shown on the opposing side of the dial. In the center of the volvelle, apertures reveal constellations of words from a cento printed below. This patchwork poem culls lines from dozens of poems that feature the moon: reflecting a range of time periods, styles, identities and themes. 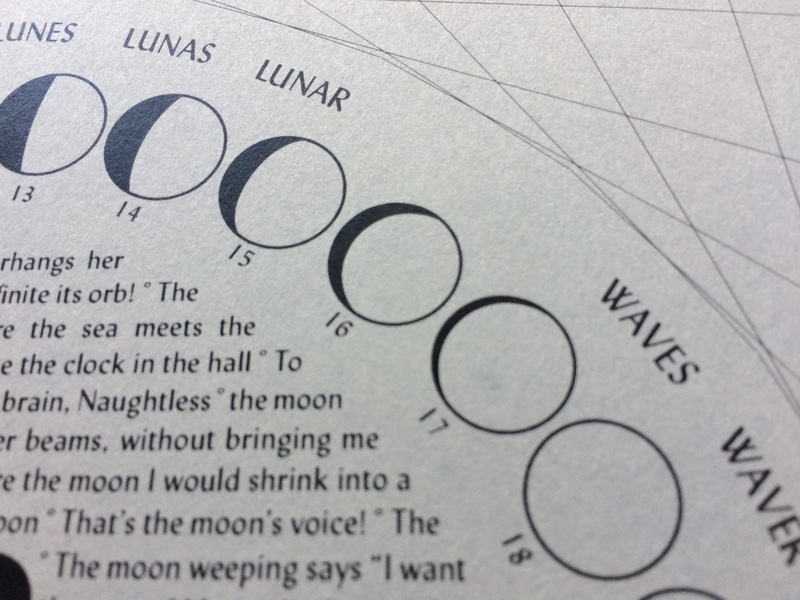 They range from poems responding directly to the lunar landing to poems in which the moon acts as lover or muse for the projective poetic imagination. A list of authors (a fraction of the many poets whose work addresses the moon) frames the back of the card. 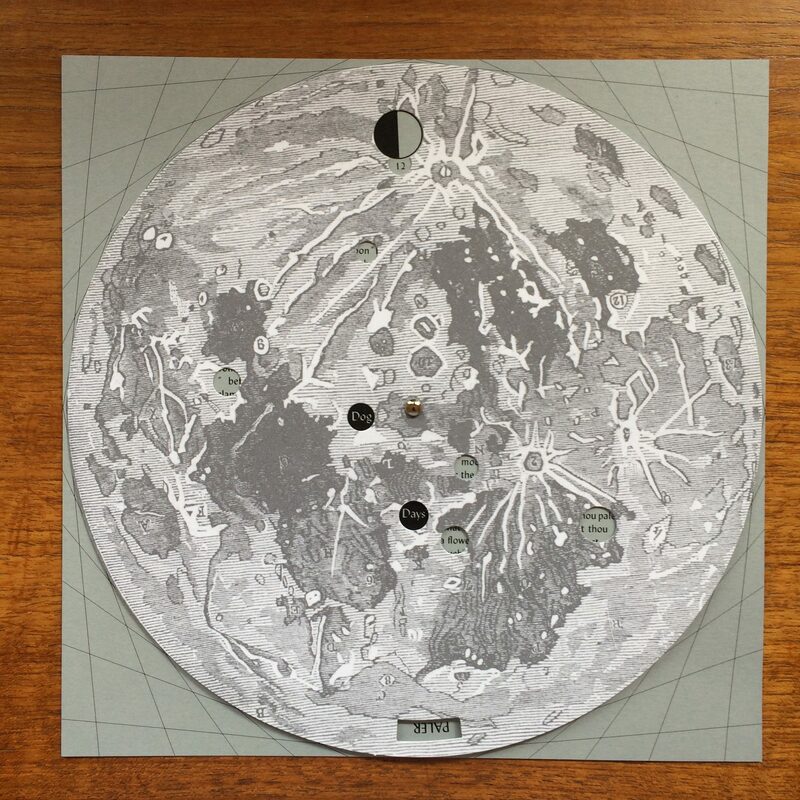 Printed in an edition of 500 with support from the Henry Art Gallery and the Simpson Center for the Humanities, the volvelle’s design references the type treatment and iconography of the United States Army Signal Engineering Laboratories’ Project Diana as well as National Geographic’s 1969 map of “The Earth’s Moon.” It features a Wikimedia Commons image of an 1886 woodcut depicting a telescopic view of the moon. A series of constellations naming the moon reference the history of humankind’s relationship to it and acknowledge the ancestral, traditonal, and unceded territories of the Coast Salish Peoples, in particular the Duwamish, on whose lands our events took place. 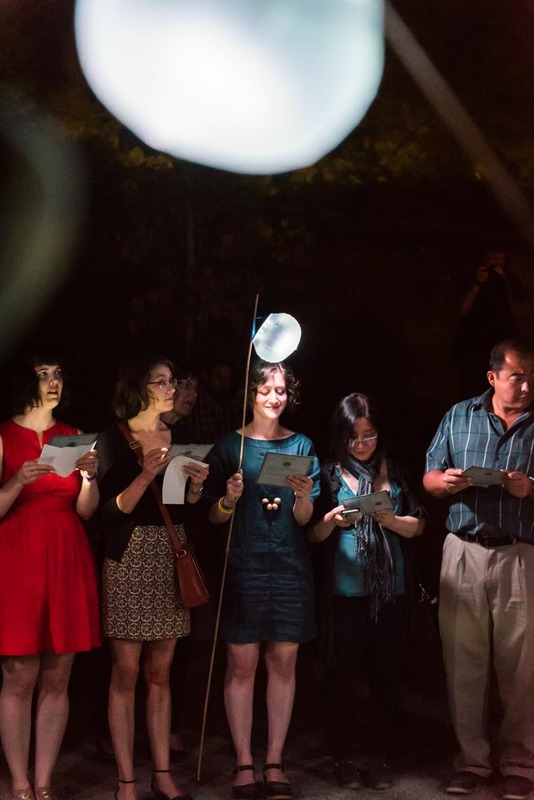 Moon Signs was created for the Henry Art Gallery’s series The Untuning of the Sky, a series of outdoor events throughout the summer that brings together music, poetry, and film inspired by the mystery and wonder of the sky at night. 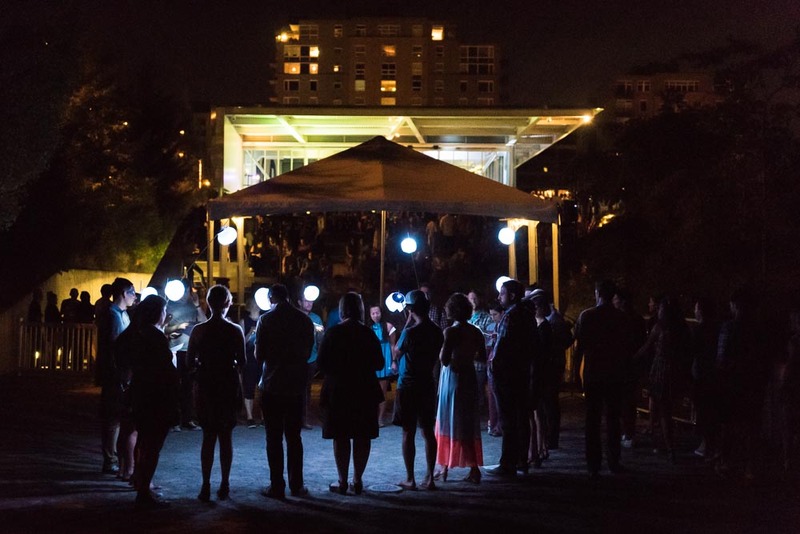 Held at venues across Seattle, the series links such divergent cultural traditions as the Music of the Spheres and afrofuturism with contemporary astronomical theory. 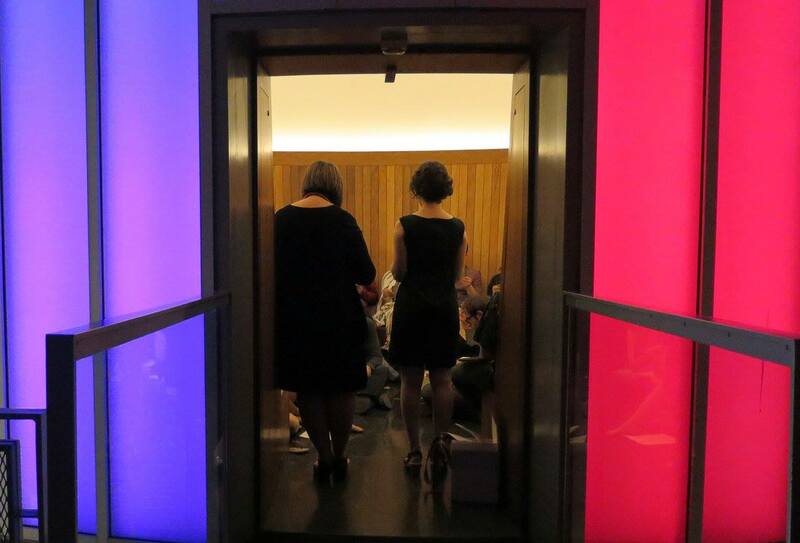 The series takes its name from John Hollander’s 1961 book that examines the influence of music on poetry. 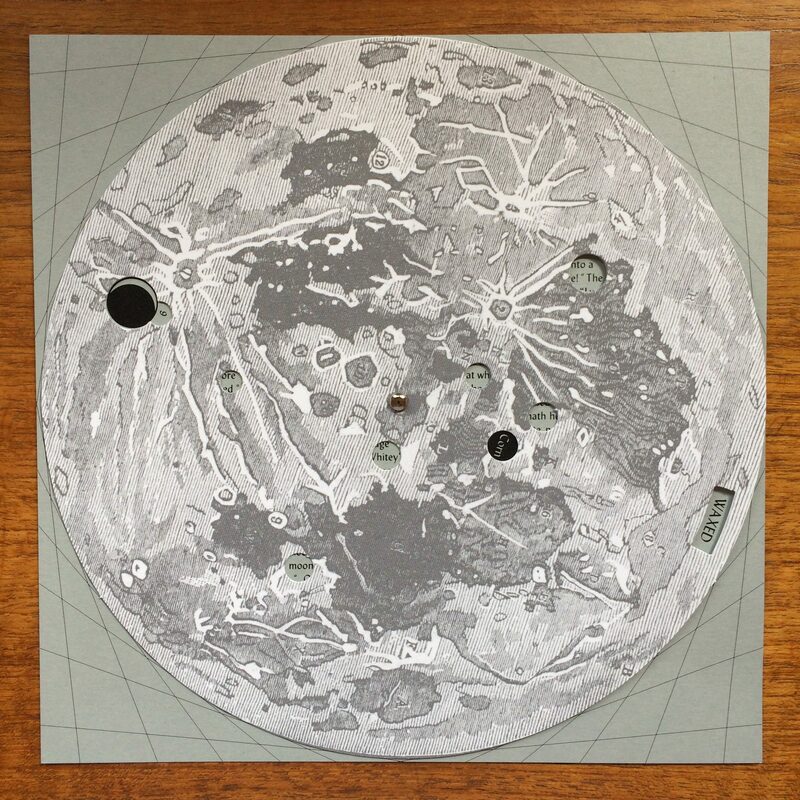 A digital version of the volvelle can be accessed at the project website.